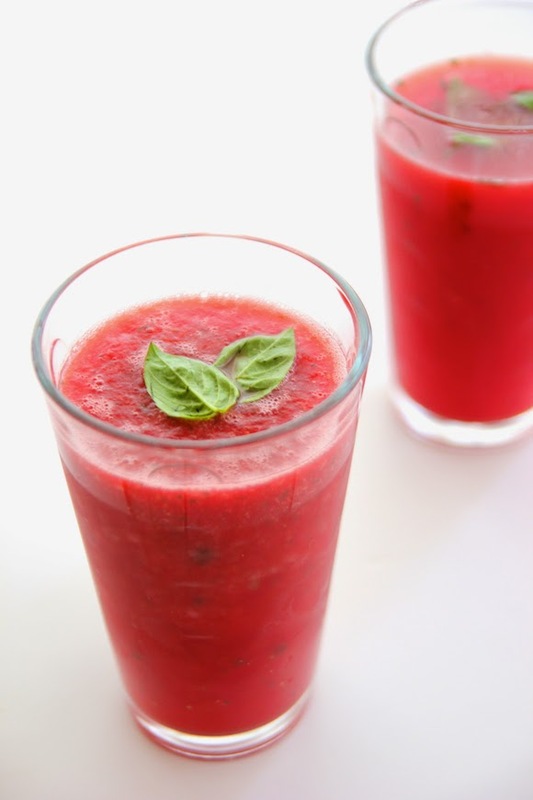 Since it’s Canada Day tomorrow, I thought I would celebrate by posting a “red” recipe. 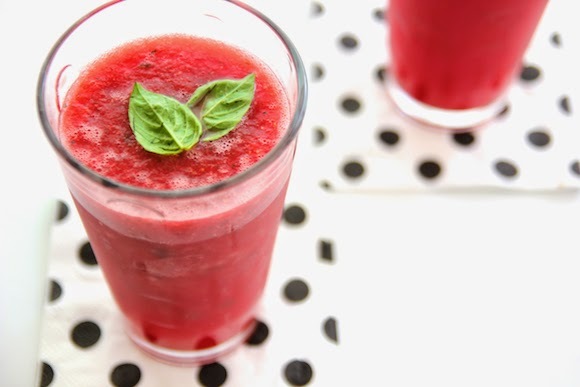 With the hot weather we’ve been experiencing lately, this watermelon, strawberry and basil cooler is the perfect thirst-quencher to cool you down. 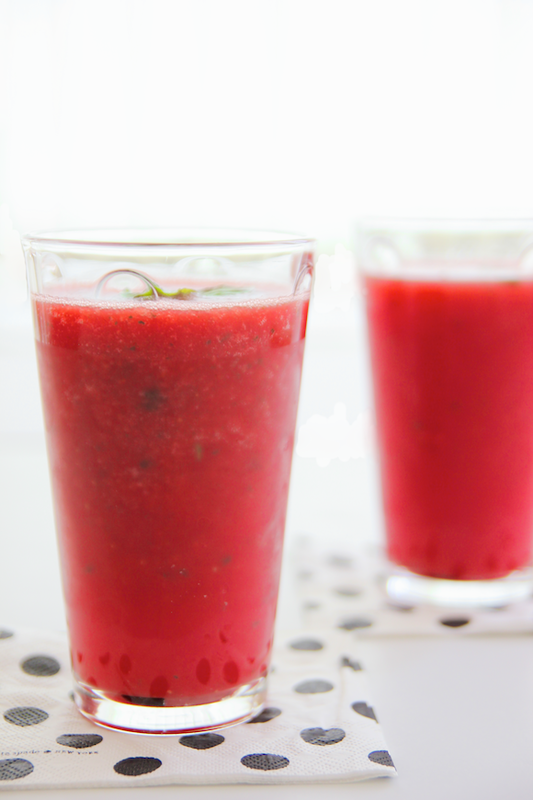 Watermelon is one of my favourite summer fruits, and this drink just screams summertime on the patio. 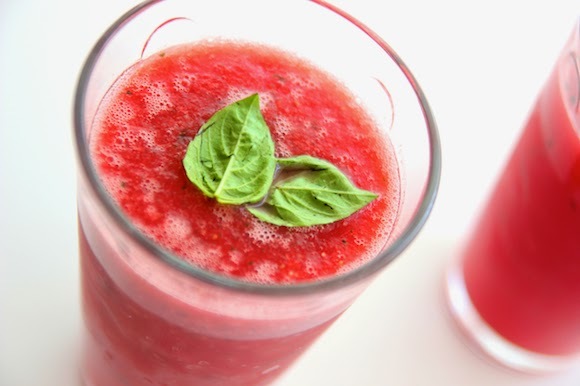 The specks of basil add a pretty touch and pairs nicely with the watermelon and strawberry.